From wirelessly monitoring our vending machines to ensuring customers can pay with credit or debit cards, BRV Solutions has invested in technology that enhances the customer experience. We use a cloud-based monitoring system that shows us what we need for your break room before we leave the warehouse, eliminating wasted trips or being short necessary snacks and beverages. Our snack vending machines and beverage vending machines accept multiple forms of payment from cash, to credit and debit cards to mobile payments. 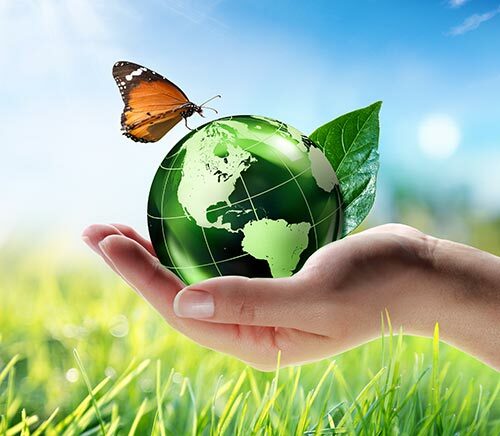 We have also used technology to be more green, such as adding energy efficient LED lighting and installing Energy Star rated vending machines. Looking for the ultimate break room service? There’s an interactive app for that. Our interactive mobile vending request app allows customers to quickly and easily contact us in the event of a service issue. If there’s a problem, the direct customer can scan the QR code on any equipment and report the issue. This can also be used for customer requests. Now you no longer have to completely rely on the service representative to handle all of your needs. Refreshing and refueling the Carolinas with better vending machines and more efficient service technology. Each of our vending machines meets EPA Energy Star standards in order to save electricity. Infrared sensors track if a product drops, and refunds money if it does not break the beam. Enjoy the convenience of paying with cash, credit/debit card, or mobile payments. 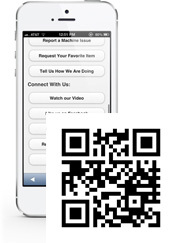 Users scan a QR code on any of our Charleston vending machines to report issues or make requests. Reports are created automatically to show which products need restocking at your Charleston location. We pack only the items we need on delivery trucks, saving gas and eliminating wasted products. 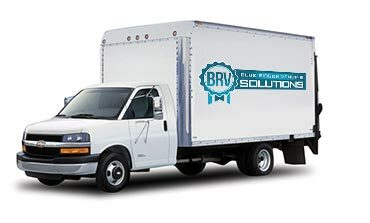 Partner with a company that invests in the technology to serve you better -- BRV Solutions at (843) 452-6967 or email ready4action@brvsolutions.net.